Father's Day is around the corner, and I am using this blast to speak on behalf of my fellow Fathers everywhere. The truth is Dads don't need or want presents (their children are present enough, most of the time). My kids seem to know this because they never get me presents for Father's Day (or my birthday for that matter!). The gifts Fathers seek most are ... 1) Time spent one-on-one with their children and 2) Evidence that they have had a positive impact on their children. I first realized this reality through my own Father's eyes. There is no greater reward for him as a Father than spending time together, with his sons, and talking about life. I share this and hope this Father's Day this is the gift I give and receive. Of course, in this week's Loupe, I have a few recommendations if you want to give your Dads something more than your smiling face. Visit Bombas for some super comfy, high tech, new socks! They are great for athletics, look good, and come in a variety of colors; you can also opt for the NYC black and/or white. 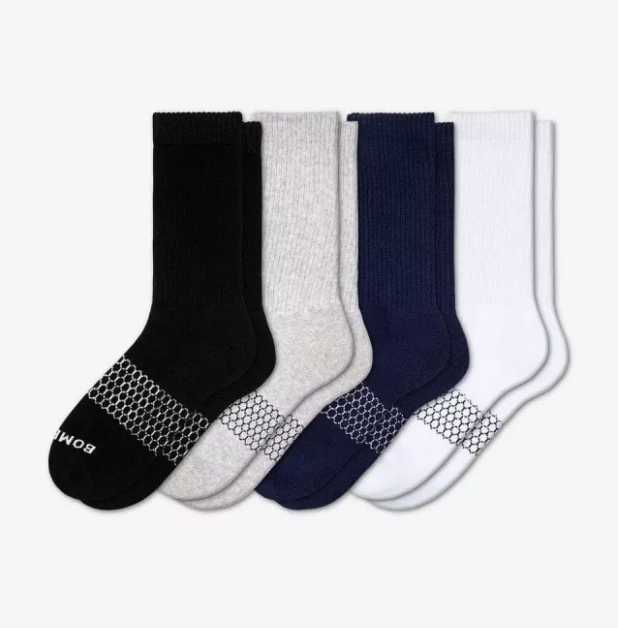 According to company literature, they have been engineered for perfection: long-staple Peruvian cotton, performance footbed, stay-up technology, blister tab, Y-stitched heel, honeycomb support system, and Invisitoe … I don’t know what most of these mean, but I can attest that they are great socks. I have a bunch! Also, this purchase will make you feel great. Not only do you get new socks, but they donate a pair of socks for every pair of socks they sell. In fact, the inspiration for the Company was the realization that socks are the number one most requested item in homeless shelters. Use this link and you will get 25% off your first order! Fact: Dad's won't spend a lot of money needlessly on themselves. If you want (need) to go upscale and spend a little (a lot) more, then check out The Elder Stateman. This is an LA-based brand founded in 2007 by Greg Chait, and the name honors a legendary British orator from the 1800's whose fame was based upon skill and authenticity, rather than a title. Nonetheless, these apparel items are expensive but are finely crafted from the best cashmere. The socks are ultra comfy and perfect to fill the (big) shoes of your Dad! Thanks to fellow Louper Greg H. for this one! Fact: Dad’s want comfortable shorts to cruise around. Fact: Kids don't want to be embarrassed by their Dad's clothing choices. Birddogs is the answer! They are a happy balance somewhere in between golf shorts, workout shorts, and a swimsuit. The folks at Birddogs "engineered" the perfect shorts for men (that's all they currently do) for cruising around town with versatility and style. Specifically, each pair contains three generous pouches for one's wallet, phone, and their "package." They have deep pockets to accommodate all other dad gear, including cash (big wads preferably), keys, and whatever else your dad can imagine. Best part here, you can skip buying the boxers as well. With Birddogs, no underwear needed --- it's commando all the way. They come in a variety of styles like the Flying Wasp (Caddyshack anyone?) pictured above. Fact: Dad's like camping gear whether they are camping or not! Remember how I said dads just want to spend time with their children? Obviously, that occasion will be an all-day outing that will likely require drinks, possibly even food. Therefore, you need to be prepared and have your Yeti Hopper with you. Yeti over engineers their products to endure the most extreme conditions, because, why not! I have a variety of their gear, and I have yet to be disappointed. The only issue for you kids is the Hopper is easy to carry around and will keep items cold all day, which may extend the period of time spent with Dad. So, you're in for the long haul. Fact: Dad's love practical, well-made technology! You dad is probably satisfied with the earbuds that come with his iPhone. 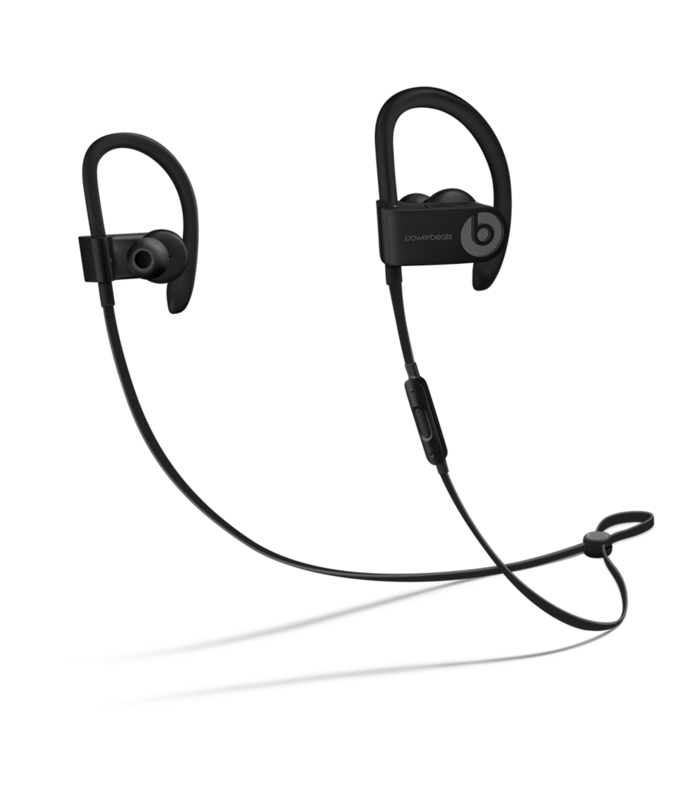 However, if you really want to upgrade his listening experience (and style), you need to buy him some PowerBeats3 Wireless. They wrap around your dad's ever-expanding ears so they don't fall off when he's moving quickly (as he can). They connect easily to computers, smartphones, etc. and sound great. If they are good enough for Apple and Dr. Dre, then they should be good enough for Dad. So remember Dad would rather spend the day relishing in the splendor of his offspring than receiving the tangible gifts. However, who's to say that a good gift doesn't go a long way! Please consider Bombas, The Elder Statesman, Birddogs, Yeti Hopper, and PowerBeats3 Found!